At PWC Chiropractic, we feel it’s important to be checked for subluxation right after birth. The birth process is a very common cause of subluxation, especially a birth process that resulted in interventions. Pediatric chiropractors are trained in the detection and removal of these subluxations. That is why our doctors continually train to be the best. Our practice has become a training center for offices around the country to be trained in prenatal and pediatrics. Due to their considerable expertise, our doctors frequently travel the world speaking on various topics within chiropractic. We pride ourselves on our knowledge and provide 5-star care within our office. If you are not local to our office, check out www.theNWF.org to find a doctor trained to help you. As children continue to grow their spines undergo many forms of trauma as they learn to walk and crawl, play, and become involved in sports. It has been said that a child experiences enough falls in one day to put an adult in the hospital. Many of these things may again result in subluxations which can be easily detected and removed by a doctor of chiropractic. Yes; it’s very safe. We use gentle adjusting techniques for children. Chiropractic is also highly safe for kids because it’s drug-free. No! We always use age-appropriate, low-force techniques on children. For infants, we only apply about the same amount of pressure that’s used to check a tomato for ripeness. At what age should I first bring my child in for care? As chiropractic care is safe even for newborns, we encourage you to bring your baby in as soon after birth as possible. That’s because even if delivery doesn’t require interventions, the birth process can be traumatic for a baby. Chiropractors can check a baby to remove any interference. 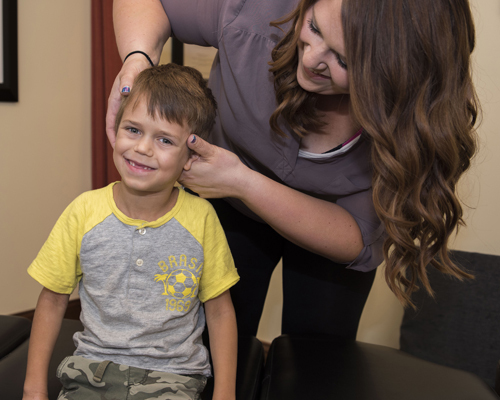 If you think your child has subluxations present, please contact us today to book an appointment. Taking a preventative approach can help your child thrive and enjoy the best health possible!